Carline stores are automotive emissions specialists. We understand all types of exhaust systems and components and ensure we fit the highest quality parts to reduce the amount harmful pollutants released into the atomosphere from your vehicle. Exclusive to Carline Automotive, the Australian made sports mufflers and exhaust systems from Lukey are unbeatable when it comes to build quality, longevity, performance gains and that unmistakeable growl. Carline Automotive are XForce Performance Exhaust suppliers and product specialists. For an instant performance boost in a great looking bolt-on system, ask us about an XForce system installation today. Carline Automotive & Exhaust stores are located all across Australia. Choose a service or product and find your nearest specialist store. Carline Automotive & Exhaust are Lukey Performance Specialists. 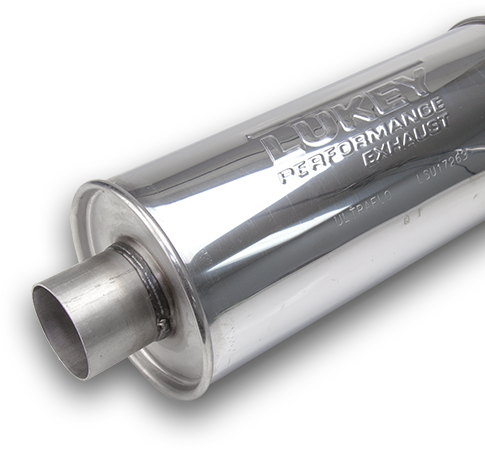 View the Lukey range of sports mufflers available at all Carline Automotive & Exhaust stores. I rang up today and the person I spoke to was very genuine and knew what he was talking about. As a woman I sometimes have people try to get me to spend money I don't need to. The man I spoke to at Carline made suggestions which will save me money so I have no hesitation in recommending them to others. I will be taking my car here to have the work done as I trust that they are going to do what's best for me and my car rather than trying to take me for a ride. What a great auto repair shop. I took my car here for some engine problems. They identified the problem and gave me a quote which was highly reasonable, plus they identified a couple of things to "watch" for, but didn't push them to be fixed. Great customer service and follow-up, and very competitive rates. Awesome place - I will highly recommend it.